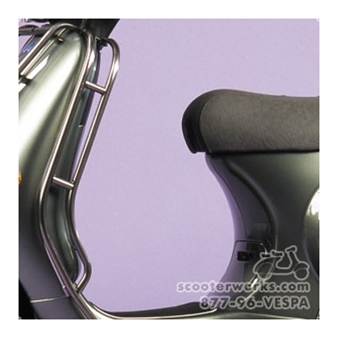 Mod-style, Cuppini brand Italian legshield protectors for Vespa ET2 - ET4. The chrome beautifies your bike. Comes with all hardware required for installation. No drilling required to install.